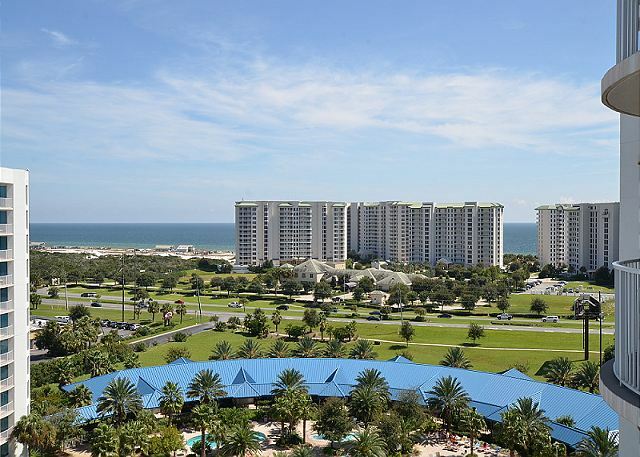 The Palms of Destin Resort and Conference Center is one of Destin's finest resorts. A delightful private getaway condominium in the West Building (poolside)overlooking the lagoon pool with view of the gulf from your balcony. Beautifully furnished with many amenities. This unit offers a 11,000 square foot lagoon pool with water falls, children's pool with splash fountain. This unit is a 2 Bedroom / 2 full Bath with 1 King size bed and the 2nd bedroom has a sofa with sleeper. The living room also has a sofa sleeper that provides bedding to sleep 2 more. Three Flat screen televisions in the living area and bedrooms with Cable TV and PPV. 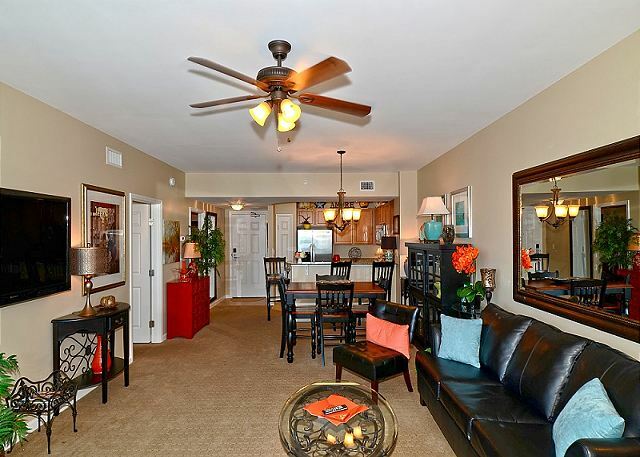 The Palms is in close to restaurants, shopping, and all that Destin has to offer. Other onsite amenities include tennis courts, basketball courts, fitness center and an expansive children’s playground. The Palms is a condo community and boasts Destin's largest lagoon pool. It is 11,000 sq ft and has 259,000 gallons of enchanting blue water. It features five waterfalls, walking bridges, 21,000 gallon heated pool, children’s splash and fun area, as well as a whirlpool spa for your enjoyment. You are in the heart of the beach community in Destin, minutes away from one of the most beautiful beaches in America. We enjoyed our stay. Had everything we needed in the condo during our stay. I can’t say enough good things about this condo. The resort itself was very nice and we didn’t have any trouble with any of the staff. Check in was easy. The room smelled clean as soon as we walked in. The fold out couches were very comfy for our additional guests. The kitchen was stocked with all appliances, cookware, utensils, etc. The decorations were pretty, but definitely not childproof, but that wasn’t a dealbreaker. Overlooking the pool from the patio and being able to see the ocean was perfect. The drive to the beach isn’t very far, and it was nice to have an umbrella and a couple of chairs to borrow from the condo. There is a broom and vacuum for your own daily housekeeping. Traffic was a bit heavy due to road construction, but not too bad to navigate around. Very close to Walmart as well. This was our first visit to Destin, and I’m sure we will be back again. The experience was great!! Thank you so much for letting us enjoy your home away from home! Blue Marlin was amazing! They made everything so easy for us. 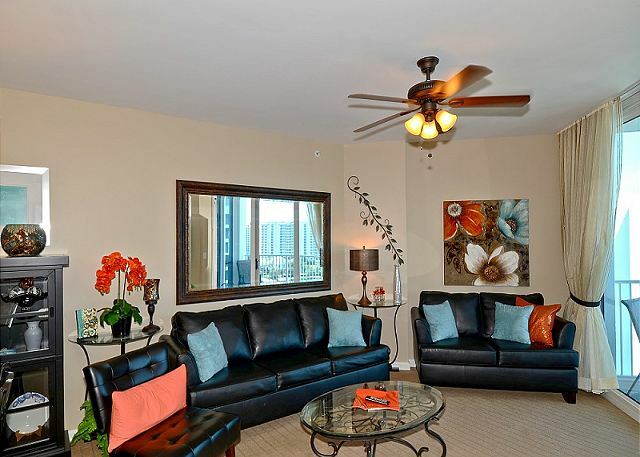 The condo was immaculate and decorated beautifully. They also had some beach supplies and all the essentials. The pool at Palms of Destin was great as usual and not crowded. They starting checking pool passes to make sure only people who should be there were there. I would definitely book with Blue Marlin again! We could not have asked for a better all around experience. This room was extremely clean and had a very comfortable feeling. I stayed with my wife and 2 children and we had plenty of space. The price and value were an absolute bargain compared to larger hotel chains with smaller rooms. We will definitely be return guests to this property. Also, Blue Marlin communication and correspondence was exemplary. Never waited more than a few minutes for a response. Extremely satisfied and very impressed. Thank you all for making this a most enjoyable vacation. We had the best stay with our 4 children, blue marlin was excellent and made sure we had exactly what we needed, they even allowed us to check in early. I will not hesitate to book with them again. They will be our go to for all of our future vacations. The staff even gives you their personal cell phone numbers for after hours! We were hesitant to stay after hearing reviews about the pool being dirty and the staff being rude and we didn't have either problem. 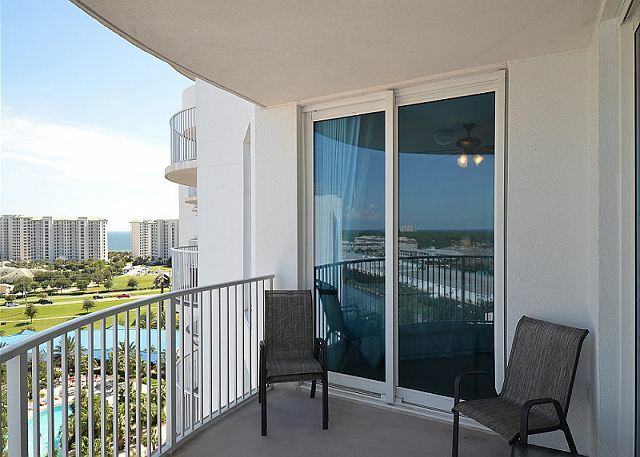 Palms of Destin has luxury accommodates at reasonable prices. It was a little difficult to access the beach and the parking was not convenient, but overall, it was a very nice place to stay! The weather may have been awful, but the condo was perfect for our family. The property is beautiful and offered something for all of us on the rainy days. We will definitely be looking to book this condo again next year. There were a few hiccups, but it was solved so quickly and professionally that it did not hurt our stay at all. We were very happy and relaxed when we left. This place was so cute and the Jacuzzi was amazingly HOT! Water was almost boiling I think, lol, but I loved it. The pool was also really nice. The view from the balcony was beautiful and we were so close to the beach. The Blue Marlin staff was very professional, and super informative. Special kudos to STORMY at Blue Marlin, she was soooo pleasant! The fitness center was superb. We all really enjoyed our stay at The Palms, it suited us all very well, plenty of room, very quiet. No complaints whatsoever. Would definitely recommend The Palms and Blue Marlin, and would definitely visit again. It was beautiful. I loved it. This was our first trip to Destin and it couldn't have been better! 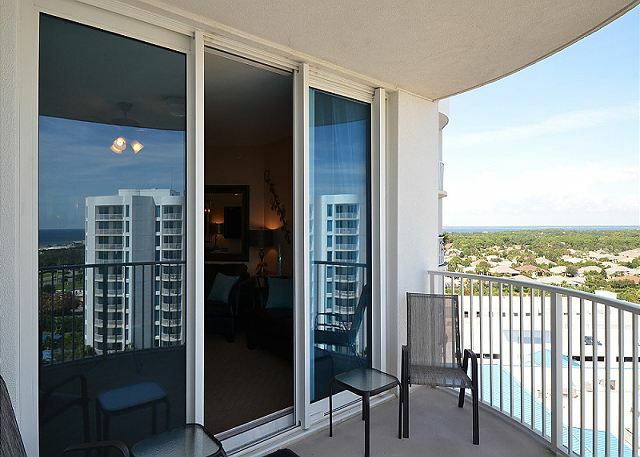 The condo felt like home and offered great views of the lagoon pool as well as the beautiful ocean water. We would definitely stay here again! 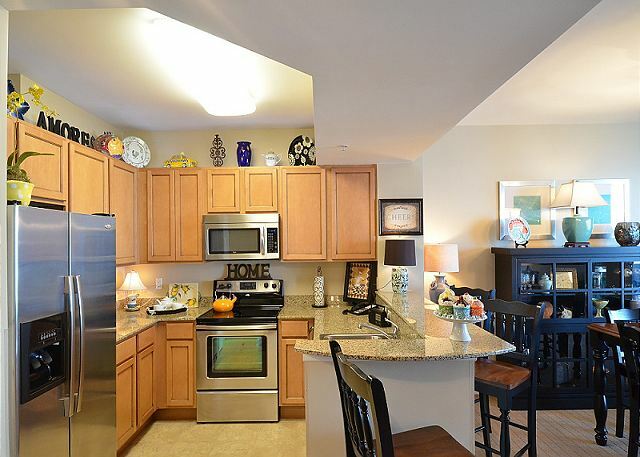 This condo met and exceeded all expectations. Blue Marlin was very easy to work with. Will definitely rent this unit again and return to Destin FL. Really a great experience, weather was a little bummer, but the pool area made up for it. The property and of course the room was perfect after our connecticut winter. 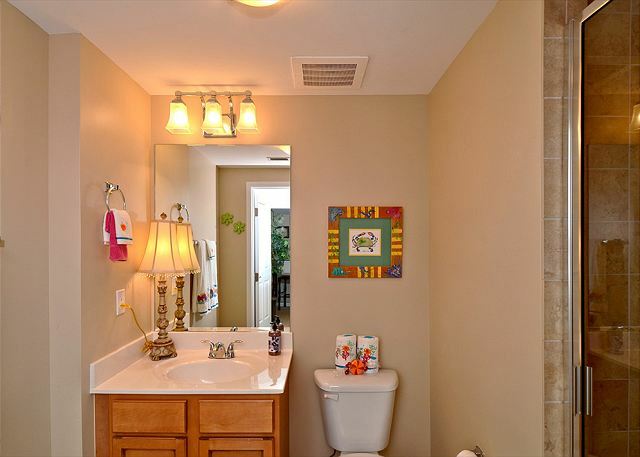 Beautifully decorated condo with plenty of space for a family with 2 young children. Very comfortable and relaxing. We had a great trip and as it was our first time to destin it will not be our last. The condo was amazing. The only thing that was a negative was the beds in the second room. You could only use the second bed if you didn't close the door. Other then that it was fantastic! Will definitely recommend you guys in the future. This was my families first beach vacation. The location was great. The shuttle service to the beach was convenient. Swimming at the resort was nice in the large pool. We loved the decor of the unit too. This vacation was a success thanks to our wonderful accommodations. Our plan is to stay here every time we are in Destin. This was definitely the nicest room we have stayed at in Destin. We typically come every year and would definitely stay here again. The only inconvenient amenity was the travel to the beach. Not bad at all but not the same as walking out of your room straight to the beach either. Totally not a big deal considering how much you save by not staying directly on the beach. Shuttle worked great!! The pool made up for that and was perfect for the kids and they had a blast there. My family and I had an amazing time at the Palms of Destin Resort. The heated pool was much appreciated. Staff was very accommodating, including free chairs for the beach, and towels for the pools. It was very nice having a full kitchen and washer and dryer in the condo. The beds were extremely comfortable, to the point I am now looking at buying a new bed. The condo was very spacious and much needed for my 4 kids. We will definitely be staying here the next time we come to Destin. Very nice. Loved our 8 night stay with our 3 kids.